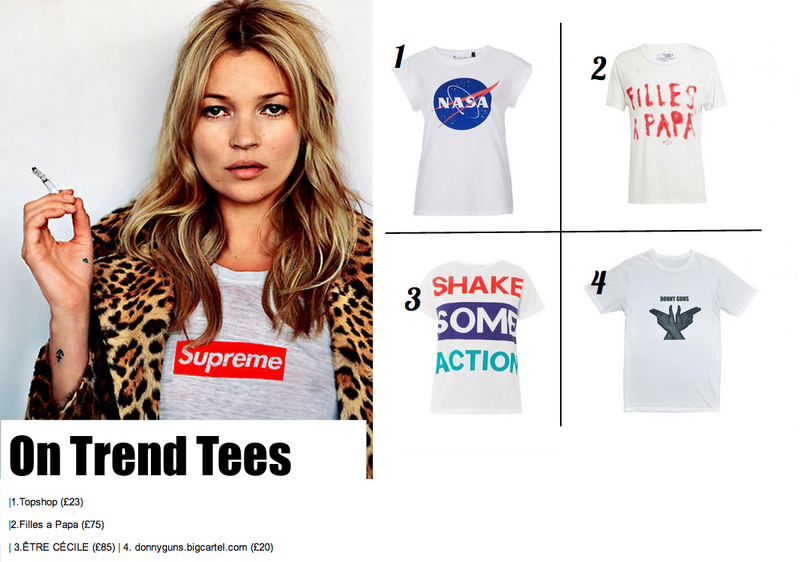 Last season saw celebs, street style queens and humble fashion citizens alike all buying into the slogan tee trend. For a new spin on the statement fashion t-shirt, forgo fashion parodies and designer tributes and look for T-shirts that will stand out among the crowds. Filles a Papa is the brand to buy into this year, Rita Ora and Jourdan Dunn are already fans. This T-Shirt will secure your place in any fashion crowd. This Être Cécile tee is perfect for some New Year motivation. Wear with ripped boyfriend jeans or at the gym for fashion credit on the treadmill. Finally this tee by model Eve Delf is the perfect fashion bargain, and if you still can’t get away from fashion’s love of an ironic slogan, head to Topshop and get your hands on this Nasa T-shirt.